This essential collection of key articles offers a re-evaluation of the practice of history in light of current debates. 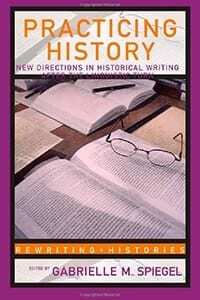 Critical thinkers and practicing historians present their writings, along with clear and thorough editorial material, to examine the complex ideas at the forefront of historical practice. This volume gives a synoptic overview of the last 25 years’ theoretical analysis of historical writing, with a critical examination of the central concepts and positions that have been in debate. The collection delineates the emergence of “practice theory” as a possible paradigm for future historical interpretation concerned with questions of agency, experience and the subject. These complex ideas are introduced to students in this accessible reader, and for teachers and historians too, this survey is an indispensable and timely read.